Great interview with one of my favorite drummers. By the way, just curious: What did you think when Rush added some Police-type elements to their music in the early '80s? "I had only heard of it. 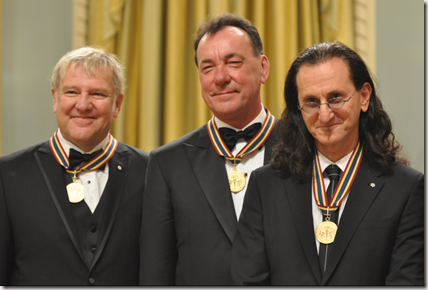 I didn't actually listen to Rush albums, and I couldn't tell you one from the other -- although Neil is a good buddy. [laughs] We agreed to disagree on certain things, and it is a measure of his greatness as a human being that he is completely over whatever my feelings might be about Rush. "This truly is the case: He's never heard me say a wonderful thing about his band. He's read a few comments that I wish he hadn't read. In unguarded moments, things tend to slip out. Musicians tend to be snippy about one another, and I'm generally not. I generally love all music and all players. "There was a time when bands like Rush were the epitome of what The Police were theoretically against, which was an overemphasis on musicality. Our ethos in the early days was about the primal scream and that musical technique was a distraction from that mission. There may have been a few comments that I might have made regarding Rush's position on that debate, and it is really, really to Neil's credit that he's over that debate. And we get along great." 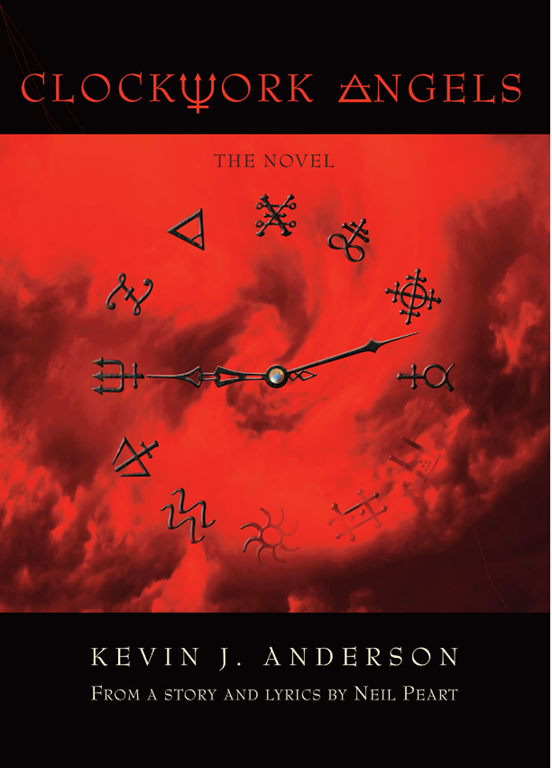 There's an official press release about Clockwork Angels: The Novel on co-author Kevin J. Anderson's blog. Also included in this release is that the audio book version will be narrated by co-author Neil Peart. Also, it appears that a second Toronto show has been added for October 16, 2012. Go to Rush.com for more details. You can now download Neil Peart Drums Vol. 2 from http://www.esoundz.com/neilpeartdrums, including a limited time offer of an additional FREE set of 72 loops taken from "YYZ." If you'd like to find out more about Neil Peart drums, I recently interviewed Sonic Reality's Dave Kerzner. Click here to read the interview. I've also had the opportunity to use Neil Peart Drums (Volumes 1 and 2) for about a month, and I can say that if you write music and want to add Neil Peart's loops to your songs, you should definitely check out Volume 2. I'll have some examples available soon of my "experiments" -- but you can also hear a cover of "YYZ" that uses Neil Peart drum loops. "Sonic Reality Releases Neil Peart Drums Vol. 2 The Grooves plus a FREE exclusive sample pack download on eSoundz.com/neilpeartdrums"
May 8th, 2012, Sunrise, Florida - Legendary drummer of Rush Neil Peart and Grammy-winning producer Nick Raskulinecz have teamed up with music software developer Sonic Reality to create the new "Neil Peart Drums Vol. 2 The Grooves" sound collection. Over 600 grooves performed by Peart are now available in a variety of loop formats such as Rex, Apple Loops, Acidized Wave, R.A.W., Stylus RMX and more to come. Musicians can use these drum grooves to write their own music, practice, jam or play Rush covers inside their computer recording software or iPads and mobile devices. "When we did the Neil Peart Drums Vol. 1 Series we wanted to present a digital recreation of Neil's amazing DW kit so it could be played from any midi controller such as a keyboard or an electronic drum kit" says Sonic Reality CEO Dave Kerzner "But for Vol. 2 we now also have the isolated drum tracks of Rush songs performed by Neil and cut up into 1-2 bar patterns that can be re-arranged and used in new music made by any musician or songwriter." Offering the first "virtual reality drum session" with one of the top rock drummers in the world, Neil Peart Drums Vol. 2 The Grooves gives musicians an opportunity that's not only a dream come true for Rush fans but anyone looking for album quality rock drum loops for their music.